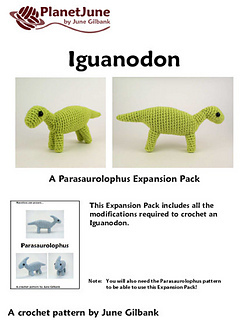 Please note this is NOT a complete pattern: this is an EXPANSION PACK for my Parasaurolophus pattern. 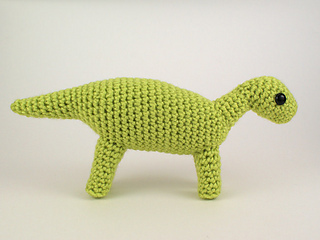 It includes all the modifications required to crochet and assemble an Iguanodon dinosaur. 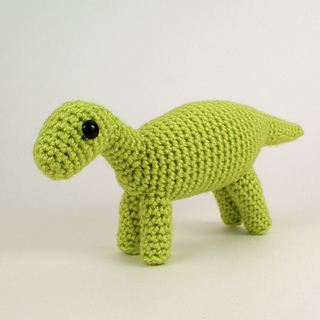 Iguanodon was herbivorous dinosaur from the early Cretaceous period. It was 30 ft long and weighed 4-5 tons. It could walk on all four legs or run on its back legs. Its name means ‘iguana tooth’ (as its teeth resemble those of modern iguanas). Buy the original pattern together with the expansion pack. 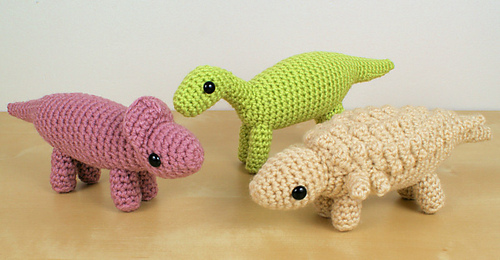 Buy Dinosaurs Set 3X (3 expansion packs that correspond to my Dinosaurs Set 3 patterns). Buy Dinosaurs Set 3 together with the Set 3X expansion packs to save the most money.